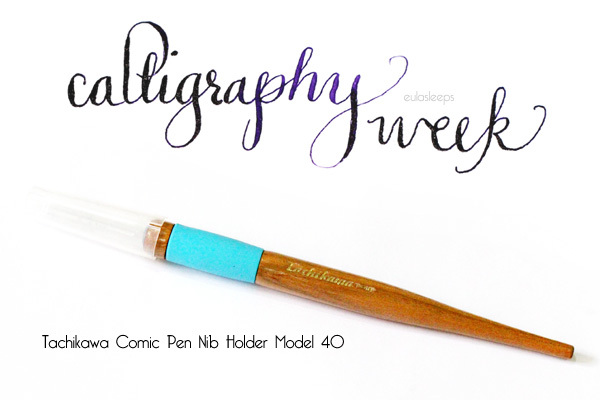 A bit of a delayed announcement: it's Calligraphy Week! Kicking off with an invitation to Nifty Nibs, next month's calligraphy workshop, and continuing with basic tools in the dip pen arsenal. This is the Tachikawa Comic Pen Nib Holder Model 40, available from JetPens. It's made for drawing (manga) but works just as well for calligraphy. 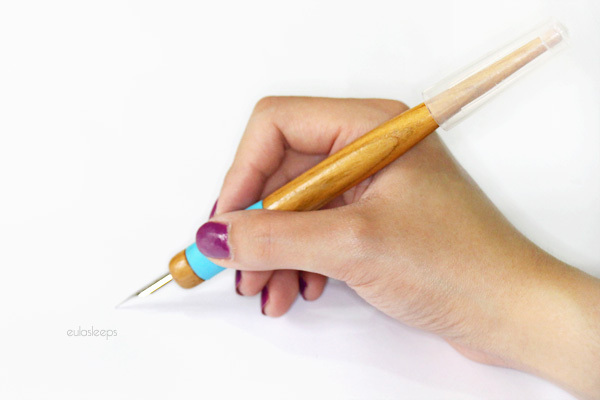 I write with somewhat of a heavy hand so the large diameter rubber grip is perfect. It comes with a cap that you can post on the end. Very convenient in theory; the cap protects the nib while in transit. Unfortunately it doesn't stay on too well, often dislodging itself while in my pen case. My main reason for choosing this holder is the double rubber rings at the tip. The inner ring takes smaller round nibs while the larger ring takes regular nibs. The rubber holds the nibs tightly; some complain too tightly, but I've had no trouble taking out nibs in and out. With its multi-purpose double rings and big rubber grip, this is my favorite nib holder so far. 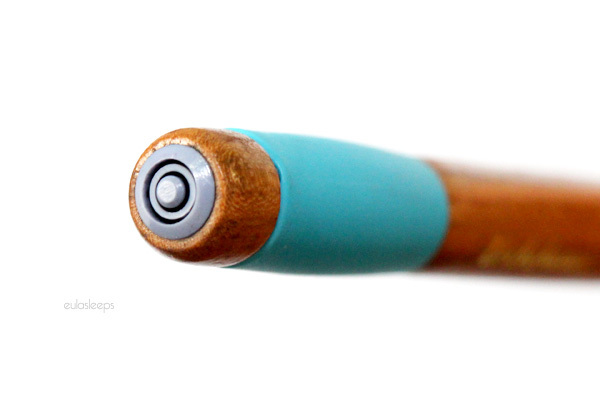 Stay tuned for more calligraphy tools.